Please don’t talk with your child about any past dental experiences that cause your child anxiety and a negative anticipation of what to expect. We are experienced in dealing with children with anxiety and can explain treatment procedures in a positive and pleasant manner to avoid any anxious or negative feelings toward dentistry. We invite you to stay with your child during the initial examination. Parents are always welcome to stay with their children. 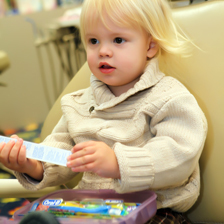 During future appointments, we suggest you allow our staff to accompany your child through the dental experience. We do encourage self independence to help promote the growth and development of your child. Our purpose is to gain your child's confidence and overcome apprehension. When we talk with children about dental care, we are careful to use words that create a positive and relaxed mindset. In other words, we use friendly terms and try to avoid words that might sounds scary. You can help your child have a good first visit by also talking about dentists and dental care in a very positive but general manner. The scheduled appointment is reserved specifically for your child. Any change in this appointment affects many patients. If a cancellation is unavoidable, call our office 24 hours in advance so that we may give that time to another patient. If at any time you have questions, please feel free to ask our staff or call our office. We are here to help in any way we can. 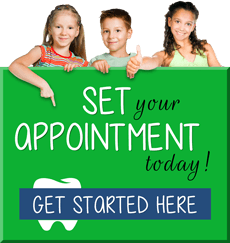 We appreciate you entrusting your child's dental health to Toothworks Pediatric Dentistry.